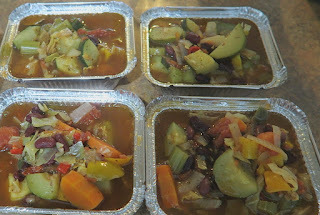 Another large batch of delicious soup frozen for the postpartum pantry. Soup is a very forgiving dish, I throw any leftover vegetables into mine and as a result no two soups are ever quite the same. 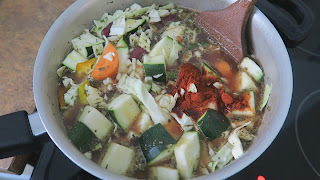 This chunky minestrone soup utilises leftover cabbage and some mixed peppers from my Mom's garden. The recipe is flexible, any vegetables you have to hand along with the stock and seasonings is going to make a great soup. If serving immediately add dried pasta to the pan and follow its cooking directions. 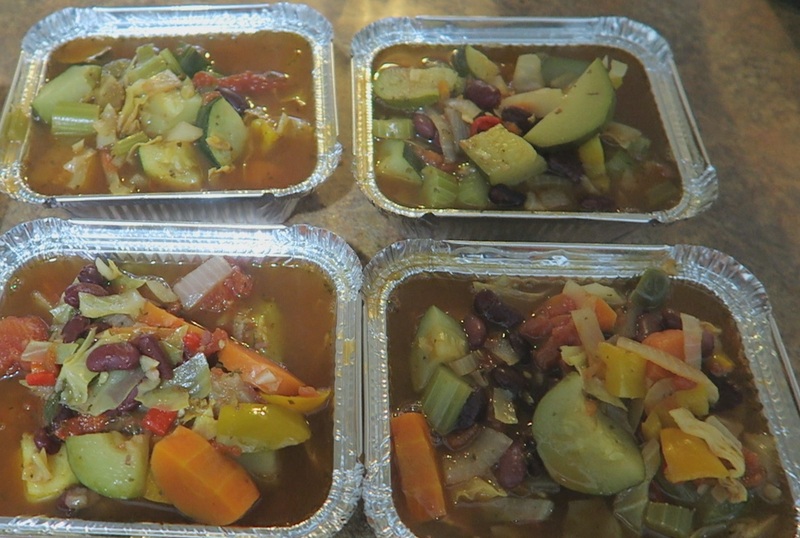 This minestrone soup will store in the freezer for up to 3 months.